Purchasing an engagement ring doesn’t just entail picking out a pretty ring for your soulmate; it is a thoughtful purchase that is the beginning of the story of your life together. You have found that one person whom you want to spend the rest of your life with, so you should spend some time educating yourself in order to find that one diamond that stands out above all of the rest. 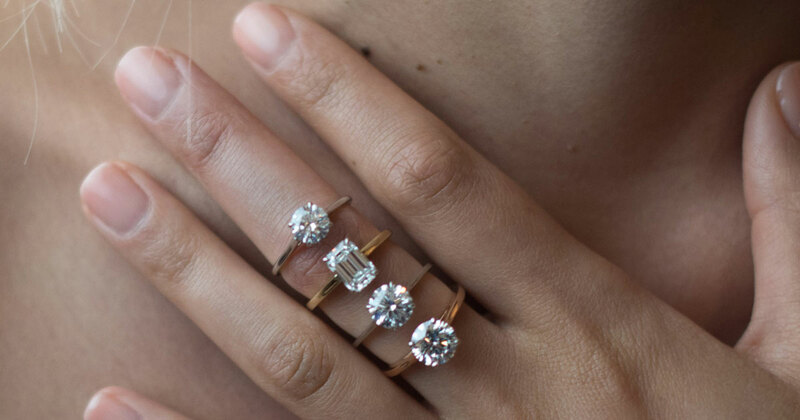 A great way to see what style ring looks best on you is by trying different rings on with natural light and using mirrors to see the “look” from another point of view. By seeing the ring the way everyone else will see it on you is a much more realistic way to get a sense of your favorite style of ring and cut of gemstone instead of looking down on your hand or flipping through photos on your phone or computer screen. Don’t worry about the carat weight, but focus on the dimensions instead. View every diamond and ring in both the fancy jewelry store lighting as well as natural light. Natural light will help you see the diamonds for what they really are. The color, clarity and/or cut may stand out more when viewed in natural light. 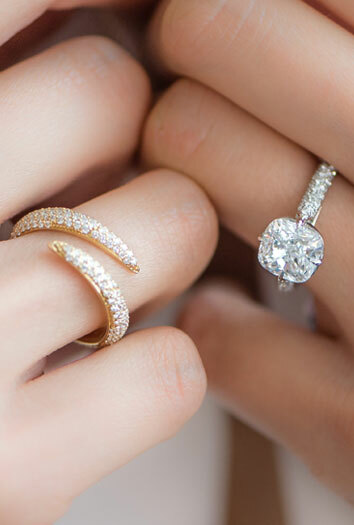 Select a ring design that compliments your style as well as your way of life. At Shah & Shah Distinctive, we love a simple design that emphasizes the beauty of the diamond that you select. Remember that the ring design can always change, but the diamond is forever.